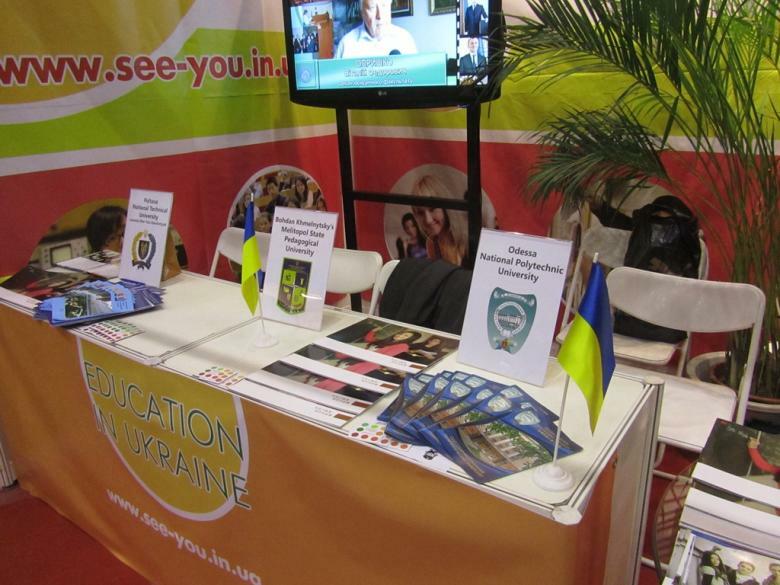 Ukraine presented the higher education at the international exhibition in Peking | See you in Ukraine! 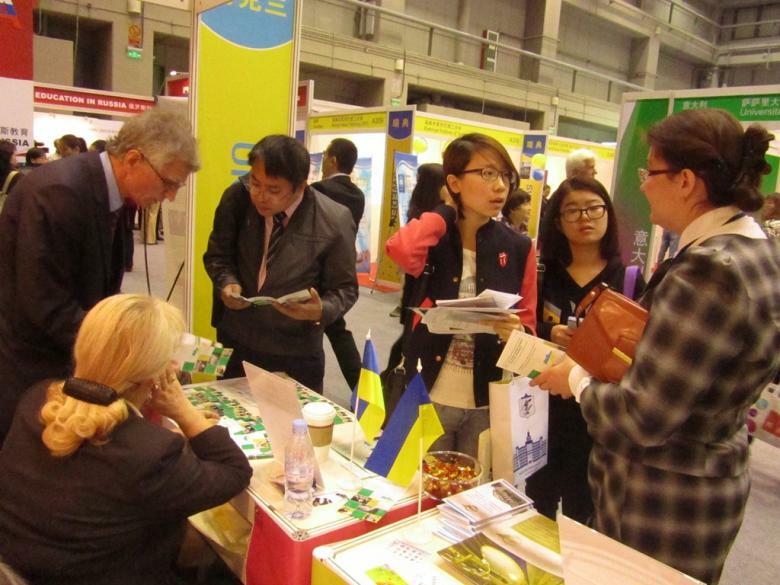 On October 20-21 in Pekingg (China) the exposition «Education in Ukraine» was presented (Education in Ukraine) within the international CHINA EDUCATION EXPO 2012 exhibition which was led with support of the Ministry of Education of the People's Republic of China. 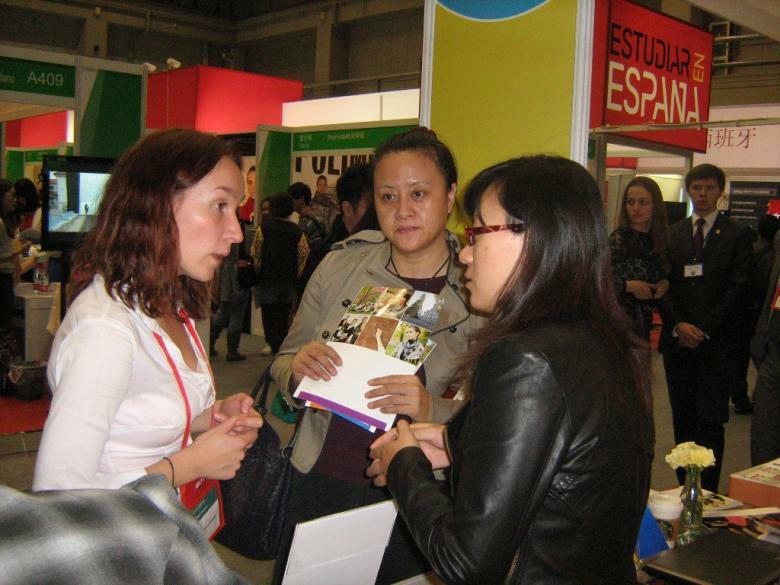 CHINA EDUCATION EXPO 2012 - the biggest educational event in the People's Republic of China which is led 12 years in a row. Exactly here foreign universities have possibility to present the programs in potentially world's largest recruiting market. Annually the exhibition is visited by about 70 thousand people. 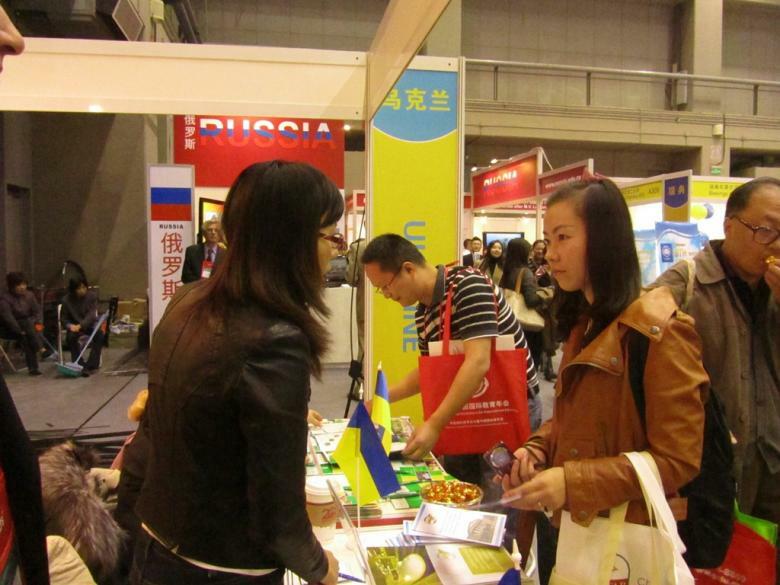 «This year Ukraine had possibility to present the educational offer of the Chinese youth. Preparation of the Ukrainian exposition became possible thanks to support of the Ministry of Education, youth and sports of Ukraine and with assistance of embassy of Ukraine in the People's Republic of China. Cooperation with China in the field of education is one of the priority directions of the international cooperation for Ukraine. In March of this year between the profile ministries of our countries the Cooperation agreement in the field of education was signed, constantly operating Subcommittee on cooperation in the field of education of the Commission on cooperation between the Government of Ukraine and the Government of the People's Republic of China works. The main directions of cooperation is activization of the academic exchanges, establishment of communications between higher educational institutions and research establishments of two countries, implementation of joint projects in the field of fundamental science and applied development. Representation of the Ukrainian stand at the main thematic exhibition in Beijing is one of actions in the large-scale program of bilateral cooperation», the director of the state enterprise« Information and image center» of the Ministry of Education and Science, youth and sports of Ukraine Victoria Sergiyenko considers. 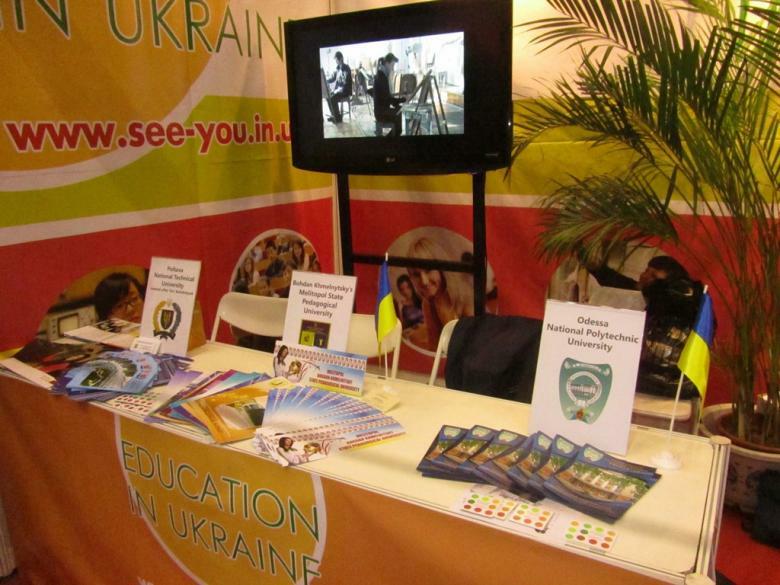 The purpose of participation of Ukraine in an exhibition was to present and popularize an education system of Ukraine and the Ukrainian educational services; to acquaint visitors of an exhibition with education possibilities in Ukraine, higher educational institutions, advantages of education in Ukraine, and also to interest potential students and their parents to graduate to Ukraine. 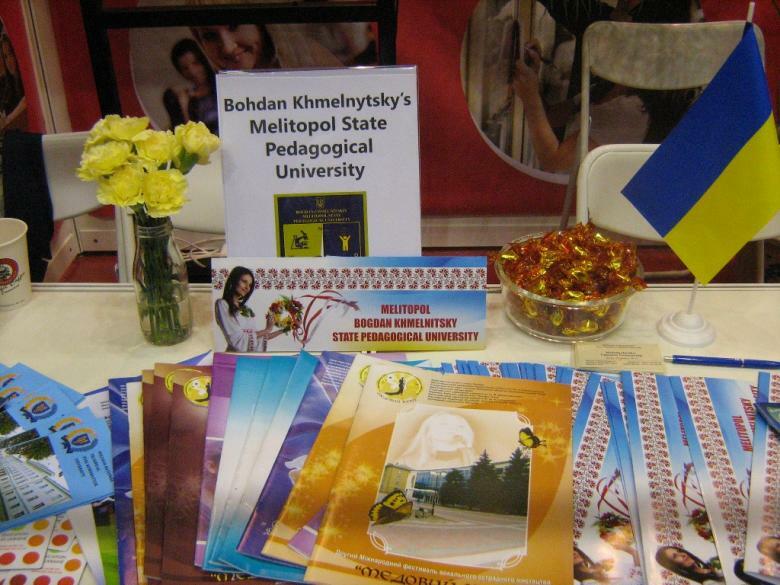 The Ukrainian exposition caused interest in visitors of an exhibition among whom there were students and pupils of the senior classes of school, their parents, representatives of mass media and diplomatic corps, the companies on staff recruitment, the intermediary companies from educational and consulting services and etc. 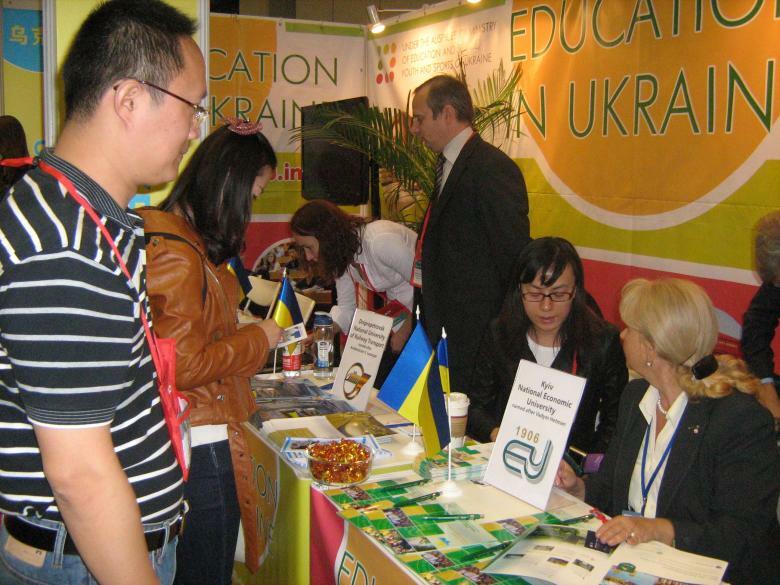 Participation of Ukraine in the international educational China Education Expo 2012 exhibition allowed wide audience of the People's Republic of China to learn about it as about the country of ample opportunities of receiving the higher education; became a push to development of the international cooperation in the field of education of both countries thanks to adjustment of contacts between representatives of the Ukrainian and Chinese higher educational institutions and the companies which are engaged in educational and consulting services in the sphere of the higher education. Besides, representatives of the Ukrainian party familiarized with the market of educational services of China, its specifics, possibilities and prospects closer. The presentation of the Ukrainian higher education in Beijing became one of successful steps on a way to increase in number of students from the People's Republic of China in the Ukrainian higher educational institutions. It is one more step to the program of advance of the Ukrainian education on the foreign markets which realizes the Ministry of Education and Science, youth and sports of Ukraine. Representatives of such Ukrainian higher education institutions took part in an exhibition as: Kiev national economic university of a name of Vadim Getman (KNEU) Poltava national technical university of a name of Yury Kondratyuk; Dnepropetrovsk national university of railway transport of a name of academician V. Lazaryan; Melitopol state pedagogical university of a name of Bogdan Khmelnytsky and Odessa national polytechnical university. For today the market of educational services intensively develops, the new universities are created, traditional universities increase quality of the services, but in many countries, in particular in Ukraine, Russia and Europe in connection with depopulation and population reduction, decrease in birth rate, the share of young people decreases. For this reason before the Ukrainian universities there was a problem where in the future to accept students, despite increase of paid services, and that the state order is reduced, or remains at the same level. «For today the Chinese National Republic needs receiving educational services. According to data which we have, annually 2 million young people leave China to the different countries of the world on training. Respectively, universities of the world and Ukrainian in particular, are interested in that a certain part of the Chinese young people studied at the Ukrainian universities. Competitive advantages which can serve for involvement of foreign students, the low price for the training, a fundamental approach to subject teaching that cannot give other countries, and also use of approaches of Bologna Process to formation initial the program is. Thanks to participation in an exhibition we saw, how is submitted by the American and Canadian higher education institutions, and now prepare for large-scale advertizing information campaign. For us this exhibition was big school and that knowledge which we received at this exhibition, will be used in our further educational work», Anatoly Mikhaylovich Kolot, the vice rector on scientific and pedagogical work of KNEU, the head of the department of human resource management and work economy, the Doctor of Economics, the professor told.